What began as a throwaway diversion in Call of Duty®: World at War has become one of the franchise’s core pillars, played and enjoyed by trigger-trained gamers in their droves. Call of Duty® Zombies is an institution, and it’s back with a vengeance in Black Ops 4. Four heroes, as ever, are prepared to answer the Call of Duty® in Zombies mode. Diego Necalli is a master spy and a bit of a lothario. He bears a passing resemblance to Just Cause’s Rico Rodriguez and really knows how to wear a leather jacket. Techie Scarlett Rhodes joins him, while also on a personal quest to find her missing father who devoted his life to researching myth and legend. Then there’s master chemist Stanton Shaw, representing the older generation and like Scarlett, on the hunt for his missing friend. Finally, man-mountain Bruno Delacroix provides the muscle, having turned his back on a former life of crime. Together they form a well-armed crew of undead slaughterers. Well-armed, and well-travelled. At launch, Black Ops 4 Zombies mode features three different Zombies campaigns spanning thousands of years and travelling across the globe. IX takes place in ancient Rome, where Scarlett hunts for her missing father while the quartet must survive a gladiatorial combat arena. Beginning in the arena itself, the map opens up as per the mode’s conventions when players accrue enough points to unlock new doors, opening new pathways and rooms inviting new interaction options. There’s a real mix of wide open arena space and tight, dangerous corridors in IX, so working as a team to stay close and cover the entry and exit points is a must. Voyage of Despair, on the other hand, swaps out the Roman sandals for life jackets and icebergs. Set aboard the ill-fated RMS Titanic, it sees the time-travelling Zombies crew uncovering the mystery behind the disaster (spoiler: zombies are involved) as they search for an ancient artifact on board. Voyage of Despair begins just as the iceberg hits, and you’ll need to battle your way just to get inside the great ship, since you begin out on the deck with undead climbing their way up the sides of the vessel. Finally, Blood of the Dead sees a return to the fan-favourite Alcatraz Zombies mode of old, with returning characters Richthofen, Dempsey, Takeo and Nikolai reprising their roles. Although the start area won’t be familiar to veterans of the original, it’s not long before enough doors are unlocked that you can explore the legendary penitentiary and see how it’s been reimagined in Black Ops 4. Keep an eye out for the special weapons in Zombies mode. Continuing the theme of time travel, the Chakram of Vengeance, Hammer of Valhalla, Scepter of Ra, and Viper and Dragon all originate from ancient history and mythology, although there’s nothing in the ancient texts about just how well they rip apart undead mobs. Funny that. Sure to get you out of a bind, clear an area for a team-mate to revive a fallen comrade, or forge a path ahead to the next objective, these are the real-game changers. 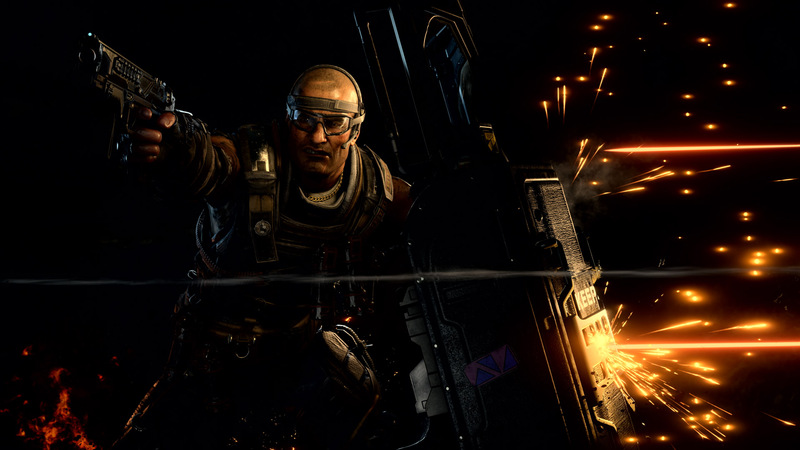 Traditions such as Easter Eggs and boss fights are sure to be upheld, while all the polish and refinement to the weapons, damage modelling and traversal in multiplayer and Blackout modes find their way here too. For long-time fans and anyone looking for a quick - and surprisingly deep - diversion, Black Ops 4 Zombies looks the best the mode has ever been. This is the year Call of Duty embraces battle royale. We explore what the new Blackout mode means for Black Ops 4, and what you'll need to know to join the action. 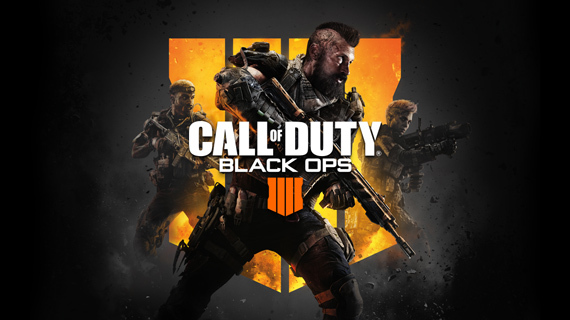 Black Ops 4 features three multiplayer modes that go deeper, are more action-packed and full of customisation and rewards than ever before. Find out exactly what's new here!